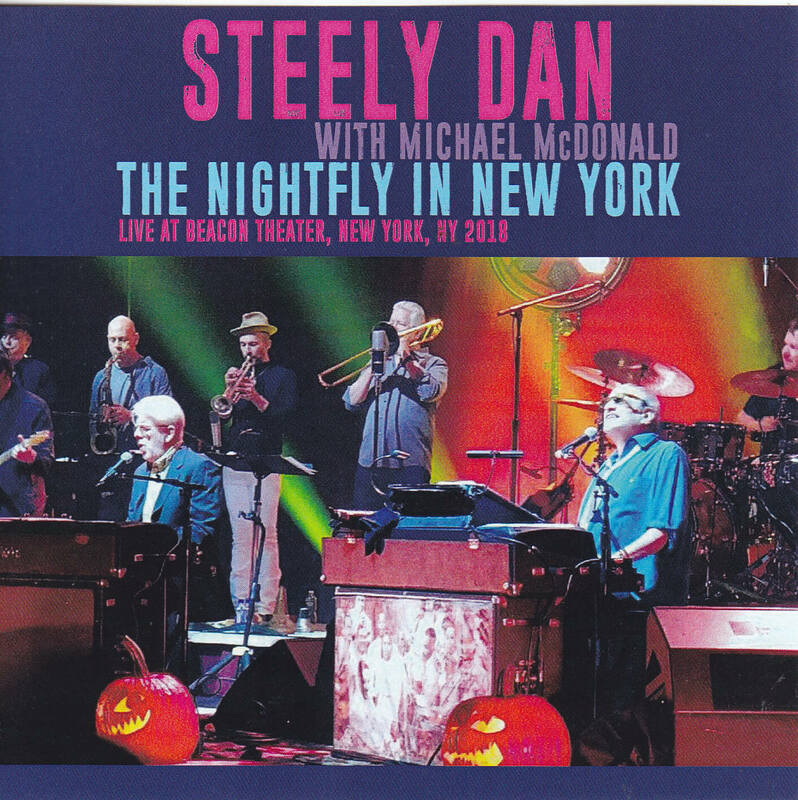 2018 The latest live concert of Steely Dan including a collaboration with Michael McDonald arrives! 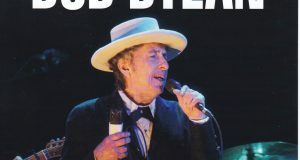 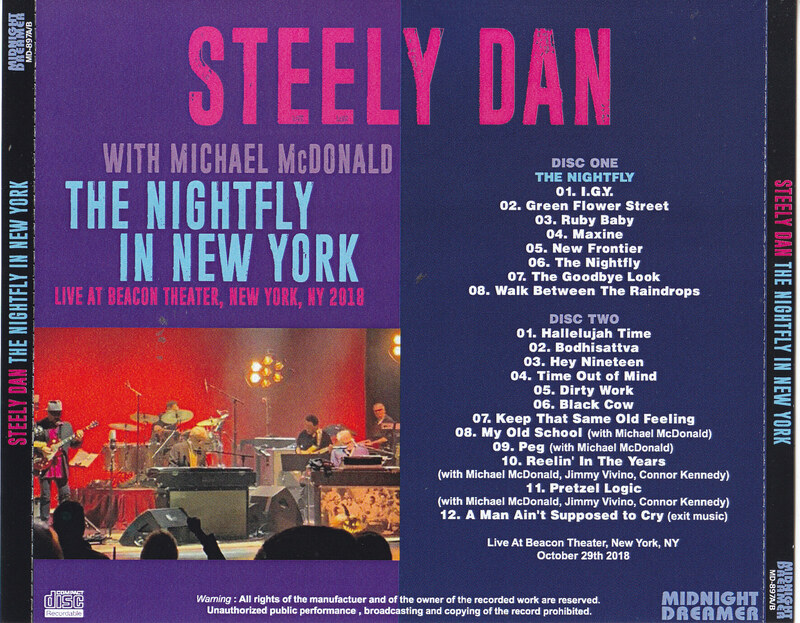 October 29, 2018 From the continuous performance at the New York · Beacon Theater, “Night Fly” knight was recorded complete from the digital audience recording master. 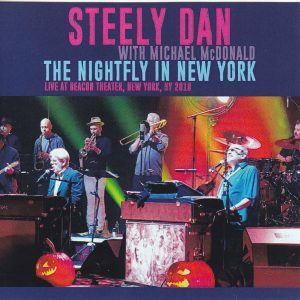 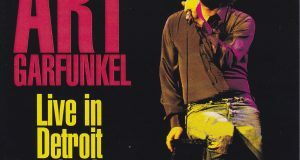 The first half of the concert shows all the songs of Donald Fagen’s album “Night Flight”. 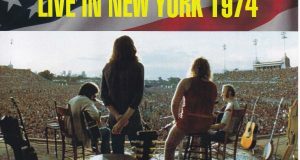 At the second best hits Michael McDonald ‘s start, Sideman’ s Connor and Jimmy also participate in the guests. 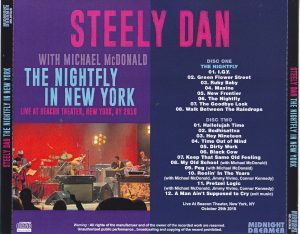 Steely · Dan who continues to live all the songs altogether daily, will deliver the latest live of 2018 as soon as possible!